This mattress offers soft comfort. Our Encased Coil – Soft mattress conforms to your body for proper orthopedic support and isolates movement so you and your partner can sleep undisturbed. The independent, wrapped coils provide a traditional, buoyant feel and also relieve pressure on your joints for less tossing and turning. A foam-encased perimeter stabilizes the sleep surface and supports you when you sit on the edge of the mattress. 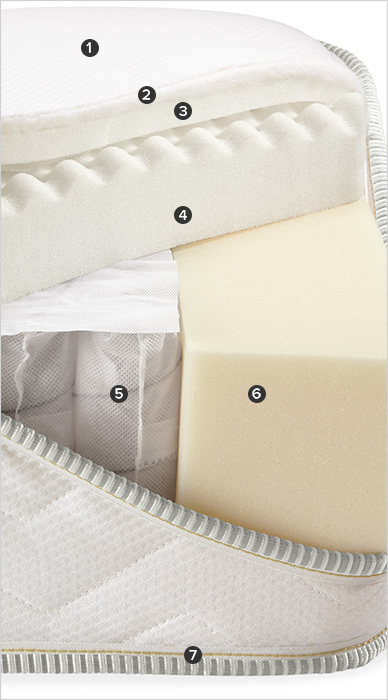 All of our private-label mattresses feature an organic cotton cover, low-VOC foams and no flame retardant chemicals so you can sleep comfortably and safely.